“This is big. I mean really big. A big egg.” This was my first thought when I saw the nose cone of HMS Anson, the Royal Navy’s fifth Astute class nuclear powered attack submarine. It is huge. BAE Systems has just awarded a £1.3 billion contract to continue building the latest Astute Class attack submarine for the Royal Navy. 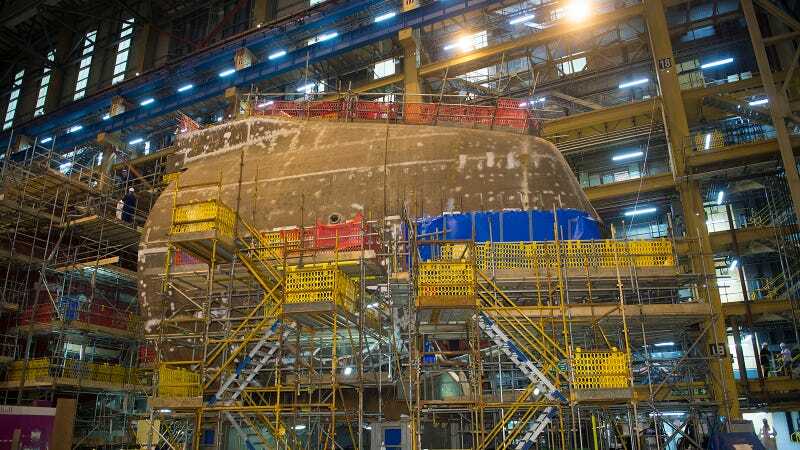 Two more Astute class submarines–Audacious and Agamemnon–are under construction as well. Top photo: David Tucker/DE&S Photography via Ministry of Defence.